This award is presented to an Ontario media organization to acknowledge their outstanding coverage of Ontario gymnastics events in the preceding 12 months. Two awards are available each year – one for print media, and one for audio-visual. Typically it is host clubs who nominate a member of their local media, but nominations will also be accepted from individual members who wish to recognize appropriate outstanding achievements. Clippings, photographs or a résumé of program coverage should be submitted to support nominations. Examples of the type of coverage received from either of the above media and the benefits how it has assisted either the club or Gymnastics Ontario, should be provided. A contact name, email, and telephone number must be provided for the nominee. Nominations should include information on the organization’s Producer, Sport Announcer, Network, and any other relevant areas related to the media coverage. A contact name, email, and telephone number must be provided for the nominee. Each recipient will be presented with a commemorative plaque at the G.O. Annual Awards Banquet, and which is suitably engraved as to attest to the specific media achievement. Each recipient will receive two complimentary tickets to the Awards Banquet, and photos may be posted on the G.O. website (with permission by signing the Image Release Form). 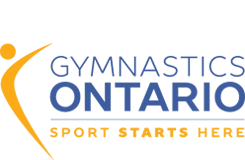 Recipients will be notified by Gymnastics Ontario a minimum of 30 days prior to the Awards Banquet in order to confirm attendance. Awards not presented at the Awards Banquet will be sent to the recipient organization by mail.